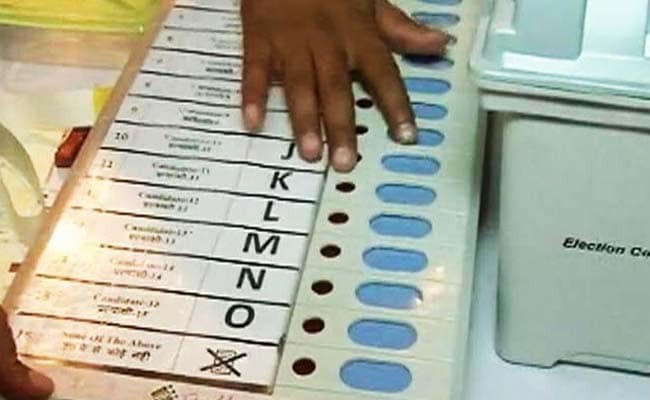 New Delhi: The government has rejected a proposal by the Election Commission or EC to bar those who have not paid dues such as government house rent and power bill from contesting elections. The election regulator had written to the Law Ministry, asking it to amend election laws to include not clearing dues of public utilities as a reason for disqualification from contesting Lok Sabha and assembly polls. According to the EC, a part of the Representation of the People Act that deals with electoral offences will have to be amended to bar candidates. A new clause will have to be inserted for disqualification "on the ground of being a defaulter of public dues". But in a brief response sent to the EC in May, the Law Ministry said the proposal is "not desirable", a senior official said. The Law Ministry said the ban is not a good idea since the authority issuing no-due certificate or the no-objection certificate to a candidate could be biased, the official said. The ministry said that in case of dispute on dues, the matter could be referred to a court and may take time to settle. The Election Commission's move seeking change in election law is the outcome of a July, 2015 Delhi High Court order which had asked the EC to "also consider the possibility" of disqualifying people, who owe money for using public utilities, from contesting polls. Based on the judgement, the Election Commission recently made it a must for poll candidates to give no-dues certificate from agencies providing electricity, water and telephone connections to their homes. In the recent assembly polls, some candidates could not file nominations as they had not provided no-dues certificates, the then Chief Election Commissioner Nasim Zaidi said. Based on the same judgement, the EC recently asked all recognised national and state parties to give an annual report to the Election Commission, declaring that there are no dues pending for rent on occupying government premises, telephone, electricity and water bills. The report for a particular financial year should be submitted to the EC by June 30 of the following year.